So what do you do when on your honeymoon? 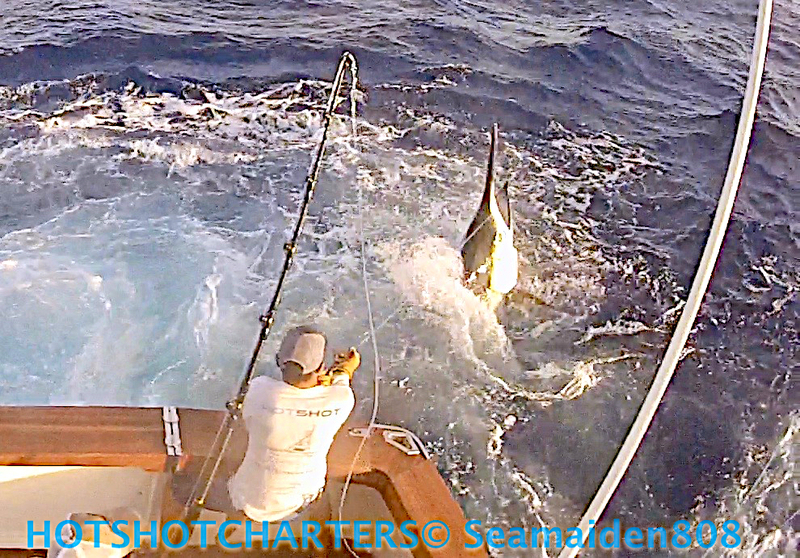 You come to Australia and go fishing for giant marlin on board Hotshot Charters. We were honoured to have the opportunity to be apart of John and Kelly honeymoon. We just got back from spending 3 days with the lovely newlyweds from Palm Beach Florida. Our first day had us departing from Cooktown and heading to the top of the ribbons. 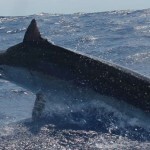 This is where Kelly caught in record time ( 8 minutes) a beautiful 700lb black marlin. 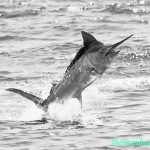 The following day the marlin got the better of us! 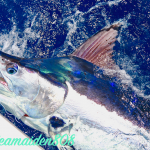 We went 1 from 7 fish including pulling the hooks on one well over 900 lbs! Kelly truely is a big fish girl! Our last day we traveled back towards Cooktown and fished the middle of the ribbons. 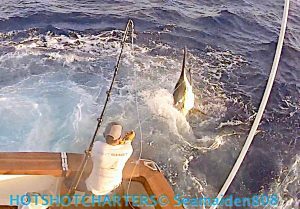 We again pulled hooks on a nice mid sized fish 600lb but were able to stay attached to a little 200lber which we hooked literally as well were bringing in the lines! All in all we had a blast and managed to get 11bites in only 3 days!